An Oct. 23, 2015 screenshot of huffingtonpost.com taken. 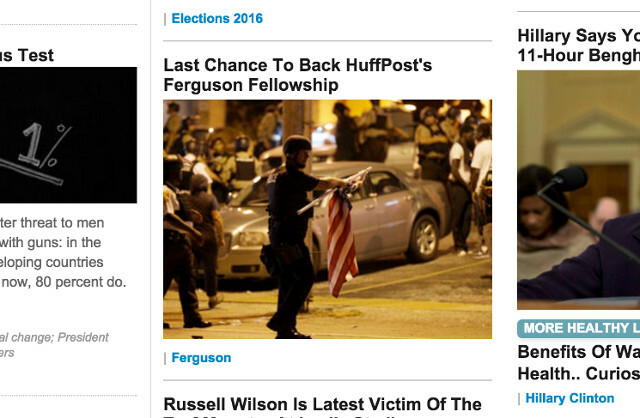 With hopes of keeping Ferguson Fellowship recipient in the St. Louis suburb for another year, Huffington Post posted a plea on its front page Friday. With one day to go, the campaign is roughly $10,000 short of a $40,000 goal. 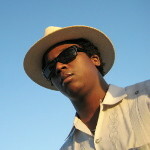 The online news outlet has also agreed to match donations dollar for dollar in the final 24 hours of the campaign. Readers quickly rallied to give $40,000 to her reporting at the height of protests in August 2014. There’s still work to do in Ferguson, said Washington Bureau Chief Ryan Grim. Primarily peaceful protestors involved in unrest last year were charged with crimes just last month. If the campaign is successfully funded, Stewart will continue to work out the offices of the African-American newspaper St. Louis American.